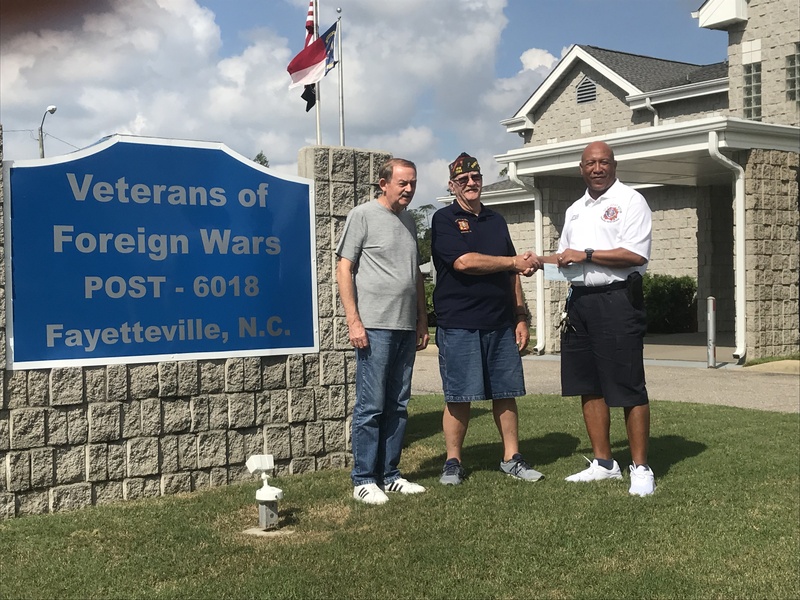 Commander Jack Miller, Post 7294, Millersville PA, presenting a check for $1,000 to Commander Ed Beard of Post 6018 in Fayetteville NC to aid victims devastated by hurricane Florence. The check was a donation from the post and we were also able to donate three boxes of cleaning materials. 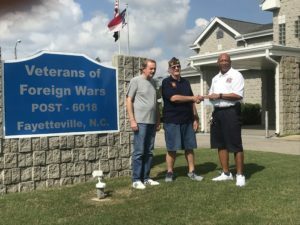 Although this post did not receive a lot of damage, it has been designated as a hub for all the VFW Posts that were affected by the hurricane. A long with aiding VFW Posts, they are also helping any veteran and their family that was affected by the hurricane. Also in photo is Ron Wolfe, Vietnam Veteran from Fayetteville NC.